Microsoft Edge is an amazing web browser which provides you a lot of features. It was first introduced with Windows 10, and now it is available for iOS and Android devices too. Microsoft Edge is a web browser equipped with the latest technology. It is fast, reliable and easy to use. It gives you the ultimate browsing experience on your mobile device. When it was launched with the new Windows 10, it was the most popular web browser. Microsoft introduced some great features which were not in the older browsers like Internet Explorer. Microsoft Edge made a lot of noise on the internet and social media due to its great features. 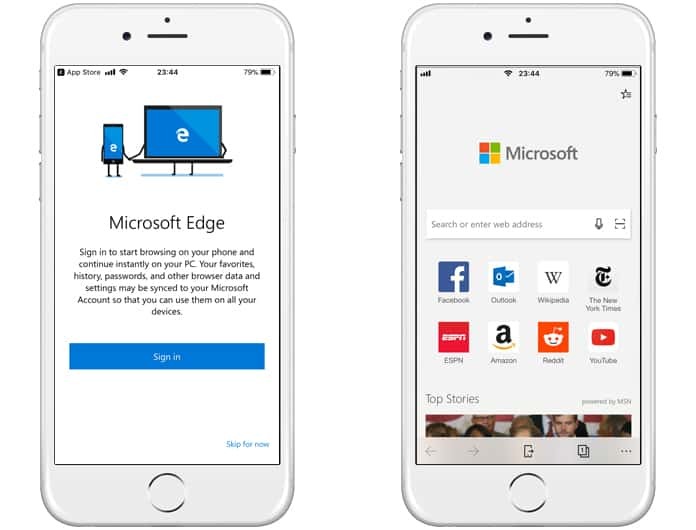 We will tell you about some main features of Microsoft Edge along with the method on how to download Microsoft Edge browser for iPhone. As mentioned above, Microsoft Edge is one of the fastest web browsers. It provides you a very convenient way of working with websites and links. Here are some amazing features of Microsoft Edge web browser. The best thing about Microsoft Edge web browser is it prevents all the annoying ads you face on all other web browsers. It is a very cool feature as you can work smoothly and efficiently without those ads. Moreover, no ads mean you will work in a faster and more reliable way. Microsoft Edge also blocks all the unsafe and spam websites for you. These security features will make you fall in love with the new Microsoft Edge web browser. Another great feature of Microsoft Edge web browser is you can pin web pages to your browser. It means you will not have to add links to the browser every time. Simple pin a web page on the browser and next time, you could access that page by just clicking the pinned button or link. This feature saves a lot of time and provides you fast access to your web pages. The pin feature becomes essential when you visit the same links frequently. 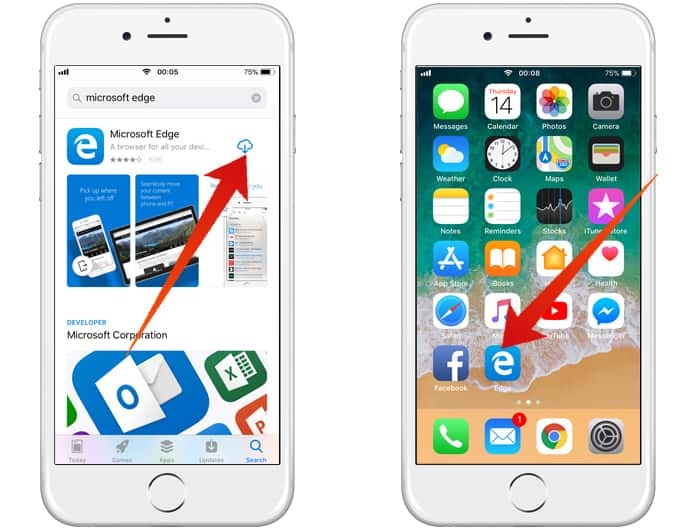 Microsoft Edge syncing feature is perfect for you if you use your web browser on Windows and on iPhone. It means you can sync all the data from your computer to the Microsoft Edge web browser. Next time, when you will start the browser from your iPhone, you will be on all the websites and links which you left on your computer. It means you can now work on different devices by using the Microsoft Edge web browser easily. Microsoft Edge web browser is very convenient and efficient. You can easily access pages and links on the web browser. You can also use the InPrivate mode that allows you to surf the internet safely and securely. It also offers QR Code Reader which is helpful to identify some products or links. Thus, you will get all these features on your iPhone if you install the new Microsoft Edge web browser. 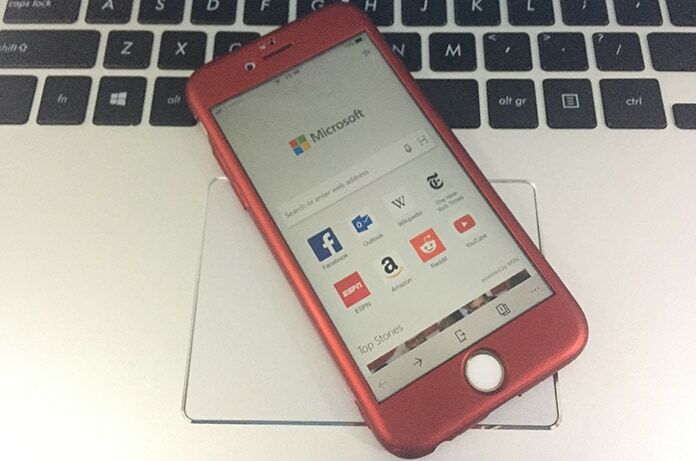 Here is how to download Microsoft Edge browser for iPhone. Step 1: First you need to download Microsoft Edge on you iPhone. You can do this simply by going to this link here. Step 2: After that you need to open the app and follow the instructions. Step 3: That’s all. 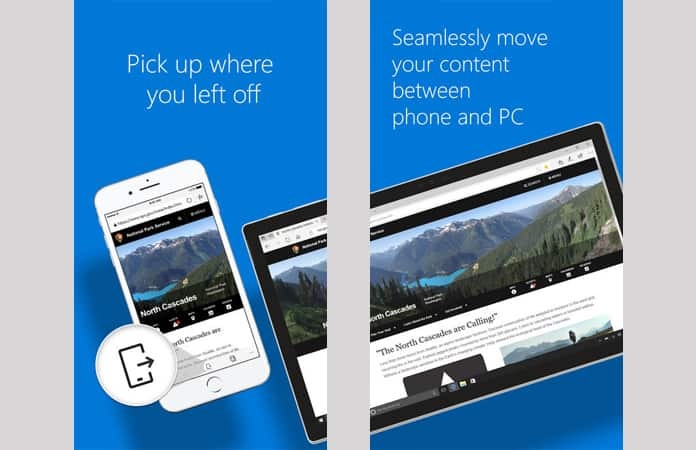 Now you can use this Microsoft Edge browser on your iPhone easily. This browser is free in the App Store, and you can get it from the store quickly. Simply install the Microsoft Edge web browser from App Store and enjoy a lot of valuable features.